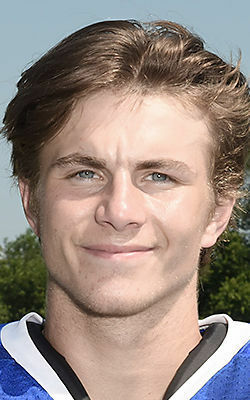 Janesville Craig’s baseball team is making it look easy. The Cougars improved to 6-0 Saturday with a 4-1 Big Eight Conference victory over Verona at Riverside Park. Thanks to another dominating performance from right-hander Mitchell Woelfle, stellar defense and some timely hitting, the Cougars made quick work of the Wildcats. The game took a little more than an hour and a half to play in blustery and cool conditions. Woelfle fired a complete-game four-hitter in picking up his second win of the week, while Tressin Kussmaul and Gavin Kilen drove in two runs each for the Cougars. “Mitchell had another great outing for us in less-than-ideal conditions,” Craig coach Victor Herbst said. “He walked the first batter of the game and he ended up scoring, but after that he was in complete control. Verona (4-2, 3-2) got a run in the top of the first, but Craig (6-0, 4-0) took the lead for good with two in the third. Dan Blomgren singled to start the inning and promptly stole second. Kussmaul’s RBI single scored Blomgren to tie the game, and Kilen followed with an RBI double to right to give the Cougars the lead for good at 2-1. With Air Force Academy recruit Woelfle in complete control, Craig added two insurance runs in the fifth. Colin Hageman, who pinch-ran for Micah Overley, scored on Kussmaul’s double to left to make it 3-1. Ryan Herbst sacrificed Kussmaul to third, and he scored on Kilen’s perfectly executed safety squeeze that made it 4-1. Kussmaul, who was 2-for-3 with two RBI, said being patient at the plate was the key against Verona starter Jacob Kisting. Kilen said the two insurance runs in the fifth made Woelfle even tougher. In six games this season, Craig has outscored its opponents 65-9. The Cougars gave up four runs in an opening-day 15-4 win over Milton but have allowed only five since. Next week will be big test for Craig. 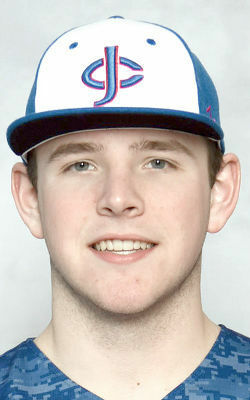 The Cougars play crosstown rival Janesville Parker in a makeup game Monday at Riverside, followed by a home-and-home with Big Eight powerhouse Sun Prairie on Tuesday and Thursday. “We’re playing pretty well in all phases of the game right now,” Herbst said. “But next week, we’ll see where we’re at.